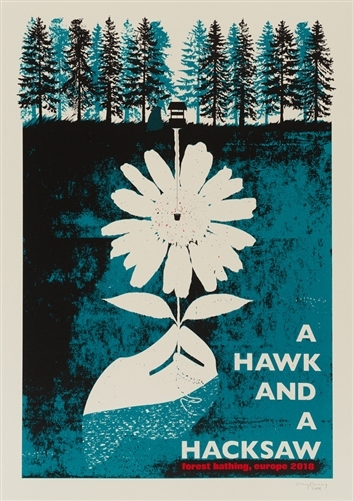 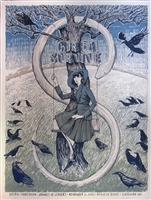 A Hawk And A Hacksaw concert poster by Craig Carry. A 3-colour screen print poster edition for A Hawk And A Hacksaw’s European tour during August 2018 to coincide with the release of the Albuquerque, New Mexico-based duo’s latest album “Forest Bathing” via LM Dupli-cation. 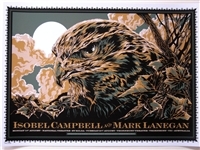 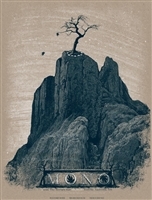 The poster is a hand-printed 3-colour screen print on tintoretto cream 300gm paper stock, made in an edition of 55 signed and numbered prints.